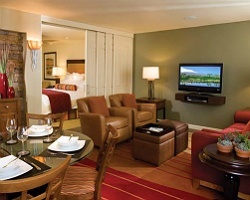 A resort oasis in California's famed Palm Desert, *Marriott's Shadow Ridge* is perfectly nestled among scenic fairways, lakes, and mountains, and offers spectacular views of Mount San Gorgonio and Mount San Jacinto. 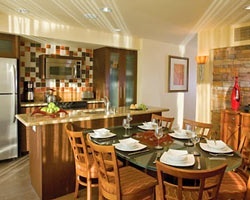 Marriott's attention to detail shows in these two-bedroom, two-bath villas, each with a gas fireplace in the living area, a relaxing soaking tub in the master suite, and two private balconies. 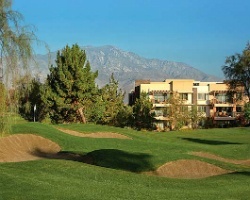 Guests can enjoy the on-site pools, restaurant, and golf instruction and play - all surrounded by the natural beauty of the Little San Bernardino and Santa Rosa mountain ranges. 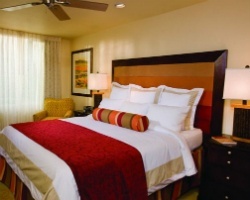 For more information about this resort, visit www.marriottvacationclub.com. *Interval International Elite Rated* Featuring a finely appointed 2 bedroom, 2 bath lockout suite that will accommodate 8 guests comfortably. Usage is annual in a floating, gold season week. For more information or to make an offer, please submit the inquiry form.